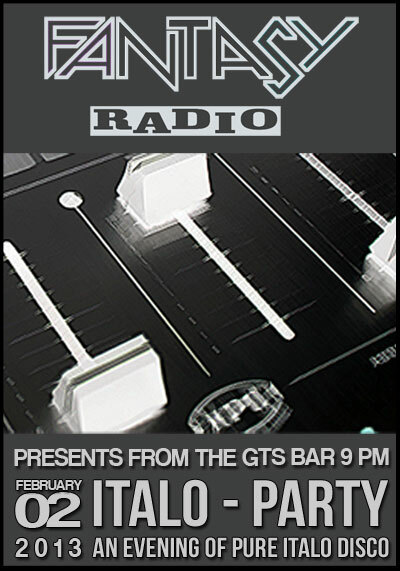 On Saturday the 2nd of February we are organizing a Fantasy Radio Party!! The evening will be filled with known and unknown Italo with of course, all of our own DJ’s behind the wheels. Location will be at the GTS Bar and the costs are 15 euro’s per person. This is including drinks. Because it is a small party there is only an limited amount of tickets available.